We are a professional group of string players who freelance and play in the Los Angeles area but are also available for travel wherever your event is taking place. We are available to hire with extensive performing experience. 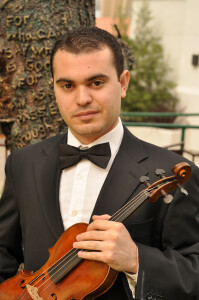 Smbat Atsilatsyan began his passion for the violin at the age of 8. Growing up as a young violinist, Smbat studied with a private instructor which later led him to winning numerous competitions and performing on LA’s great stages. He received his Bachelor of Music degree in Violin Performance from Cal State University, Northridge where he studied with a full scholarship. Smbat was concertmaster of the Jr. Phil Harmonic Orchestra and had the pleasure of playing multiple Solo performances in many prestigious stages such as Walt Disney Concert Hall, Dorothy Chandler Pavilion, Shrine Auditorium, and Kodak Theatre. Petros Boyadzhyan began his violin studies at the age of 7. 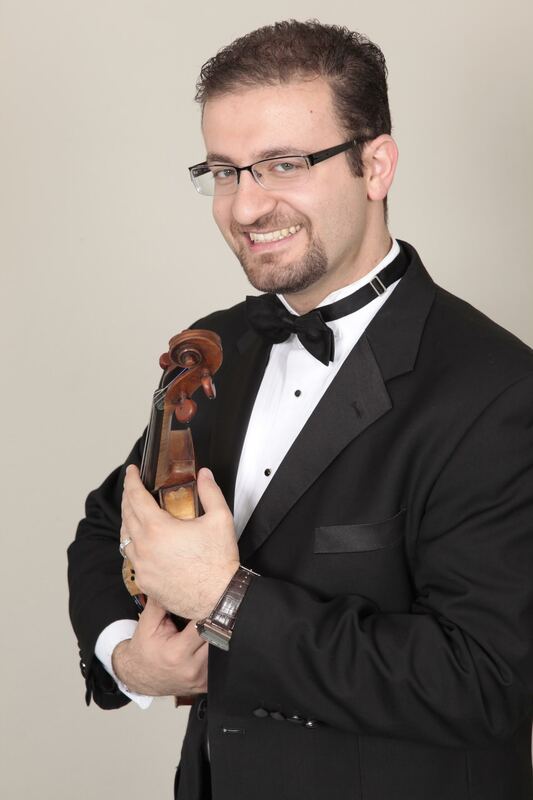 Growing up as a young violinist, Petros received grand prizes from the Armenian Allied Arts Association, from the Antelope Valley Symphony Orchestra Bach competition, and was concertmaster of and soloed with the Glendale Youth Orchestra on several occasions. 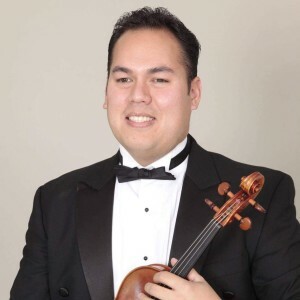 He received his Bachelor of Music degree and Master’s degree from Cal State Northridge, where he served as concertmaster of the CSUN Symphony, the Studio Ensemble, and was a member of the prestigious Honors Quartet. 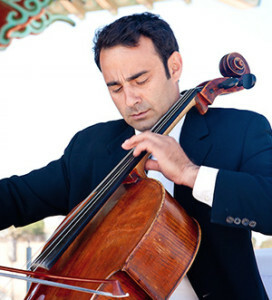 Petros’ professional career as a solo, orchestral and chamber musician has led him to performances from Los Angeles to Washington DC, including performances and recording sessions at Disney Hall, Shrine Auditorium, the Greek Theatre, the Cosmos Club of Washington D.C. and Capital Records. He has performed with the CSUN, Debut, American Youth, Torrance, San Fernando Valley, and Topanga Symphony Orchestras. Petros has collaborated with artists and composers such as Juliette Lewis, Luis Fonsi, David Newman, and David Campbell. He recently recorded for the upcoming movie “Septembers of Shiraz”, starring Adrien Brody and Selma Hayak. 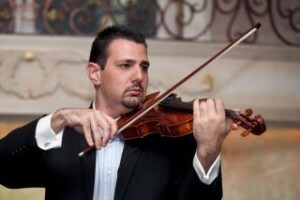 Besides his performing and recording career, Petros maintains a private violin studio in Los Angeles and teaches Elementary instrumental music in La Crescenta and Glendale. 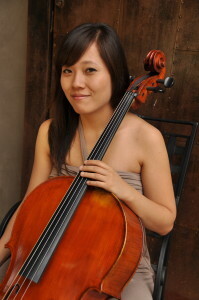 Born in South Korea, cellist Suji Kang began her cello studies at age ten in Los Angeles. She received her Master of Music degree at University of California, Los Angeles, studying with Antonio Lysy, and her Bachelor of Music degree at California State University, Northridge. During her time at UCLA, Suji performed David Popper’s Requiem for 3 cellos and orchestra with UCLA Philharmonia as a winner of the UCLA All-Star Concerto Competition. While attending CSUN, she was principal cellist of the University Symphony for three consecutive years, and was a member of the prestigious Goldberg Honors String Quartet. Summer festivals include the ARIA International Summer Academy as a full-scholarship recipient, and the California Summer Music Festival. She has had the privilege to play in master classes with renowned artists including the Alexander, Boromeo, Rossetti, Vilnius and Henschel string quartets and Trio di Parma. Past teachers have included Diane Roscetti, Irene Sharp, Mihai Tetel, Richard Andaya, David Aks, Ben Wyatt, and Timothy Loo. Italy and Germany in many genres including classical and world music. Jean Ter-Mergerian in scenic northern Italy. and expression of the music with his violin playing to his audience. Garik Terzian has performed extensively throughout the former Soviet Union, United States, Mexico, Spain, Ireland and Czech Republic. He has soloed with various orchestras including the Armenian State Philharmonic Orchestra. He has worked at the Armenian State Chamber Orchestra, the Beverly Hills Chamber Orchestra and the South Bay Chamber Orchestra. 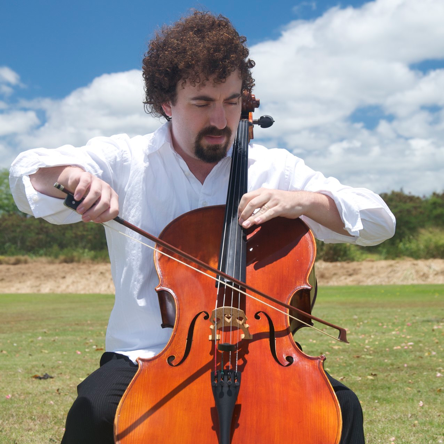 Garik began his cello studies at the age of six with his father and later continued his education at Babadjanian College of Music and ultimately received his Master’s of Music from USC’s Thornton School of Music. Garikis the first place winner of the Young Musicians Competition and the Armenian Philharmonic Concerto Competition. He has made several television and radio recordings in the former Soviet Union, United States, and Mexico. He has been feature din live radio broadcasts on KUSC’s “Sundays at Four”. Garik serves on the faculty of East Los Angeles College. Paul Grant began his viola studies at the age of 11 through the public school system and at 14 he began to truly fall in love with the viola and began to take it more seriously. At 17 he began studying privately with Mary Gerard in San Diego, CA and through hard work, Paul was offered a scholarship to San Diego State University where he obtained his music degree. He has performed with various ensembles including the San Diego Lyric Opera, La Jolla Symphony, San Diego Festive Chorus, Grossmont Symphony, and more. He has also had the honor of receiving master classes from Helen Callus, Basil Vendryes, Zaven Melikien, Susan DuBois, and David Wallace. Paul loves to play chamber music as well as teach, he has now lived in Los Angeles for four years where he teaches elementary, middle, and high school orchestra. Matthew has performed with the American Youth Symphony under the direction of Alexander Treger and the Debut Orchestra with Joann Carniero. Concerts included performances at the Walt Disney concert hall, Royce Hall, as well as recording sessions at Capitol Records collaborating with CBS studios, Burt Bacharach, Jeff Goldblum, and other artists. He has played with the Honolulu Symphony under the direction of Andreas Delfs. During his time with the symphony, he performed at Honolulu’s premier performing arts theater and concert hall the Neal S. Blaisdell Center. Concerts also included touring to Hawaii’s Big Island to promote the importance of music education as well as playing concerts for local schools. Matthew’s most recent project is a collaboration with guitarist Luke Trimble, with whom he is recording a CD dedicated to new works by composer Bryan Johanson written for guitar and cello. It’s really tough to become a good cellist without lots & lots of lessons. Thanks to her parents, Ameena was able to have them as a kid–and having grown up in the Bay Area, she had access to some seriously great teachers. Since her arrival in LA in 2002, she’s earned a degree in Cello Performance & participated in master classes & chamber music festivals as both a student as well as an instructor. She’s also worked on numerous studio recordings for new & established musicians, been a member of the Gift Horse Project & hip-to-the-max band, papercranes, & have been lucky enough to perform live with some incredible musicians. As far as teaching goes, Ameena has a private studio of budding cellists & is a Teaching Artist for the Los Angeles Philharmonic. 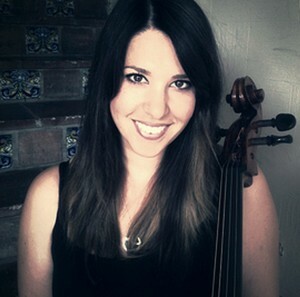 She is also the cello instructor for both YOLA (Youth Orchestra Los Angeles) EXPO Center & the Pasadena Youth Symphony Orchestra Philharmonic, as well as a staff cellist for the Pacific Crest Music Festival, held in gorgeous Dunsmuir, CA.